The chances of me keeping them? Slim to none. In fact, I don’t think I’ve ever kept a single resolution my entire life. Does that mean I’m impulsive? Too flakey? Bad at commitment? Or maybe I just set really unattainable goals. Oh well. There’s no failing if you don’t even set a resolution! That’s been my motto the last few years. Usually I will start to eat healthier and workout more around the New Year, but that’s just because I turn into a non-stop eating caterpillar over the holidays. Purging the holiday weight gain is just a habit of mine. However, I don’t thin I’ve actually set a real-live resolution for the past 5 or so years. I’ve continued my bad trend well into 2018. I have NOT been back to the gym, but I blame all the sickness I’ve been having the last few weeks. I have NOT been eating better, and I’ve got nobody to blame but myself. I keep wanting to make these incredibly unhealthy meals, and I don’t know why! I should probably get it in check here soon. This recipe is just another one on my downhill slide into Unhealthy-Ville. To be fair, I took this work so my coworkers could eat them yesterday. I did only have a handful (or two) while waiting. 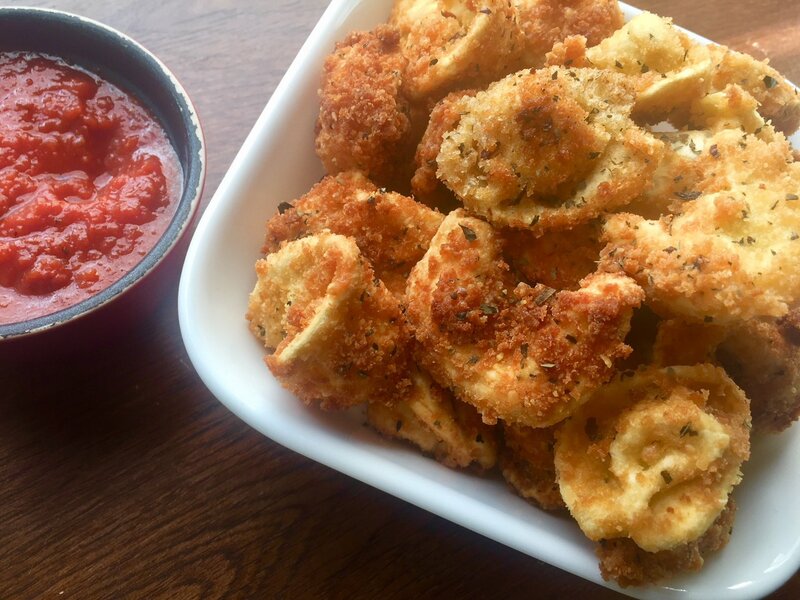 You’ve heard of toasted or fried ravioli, right? 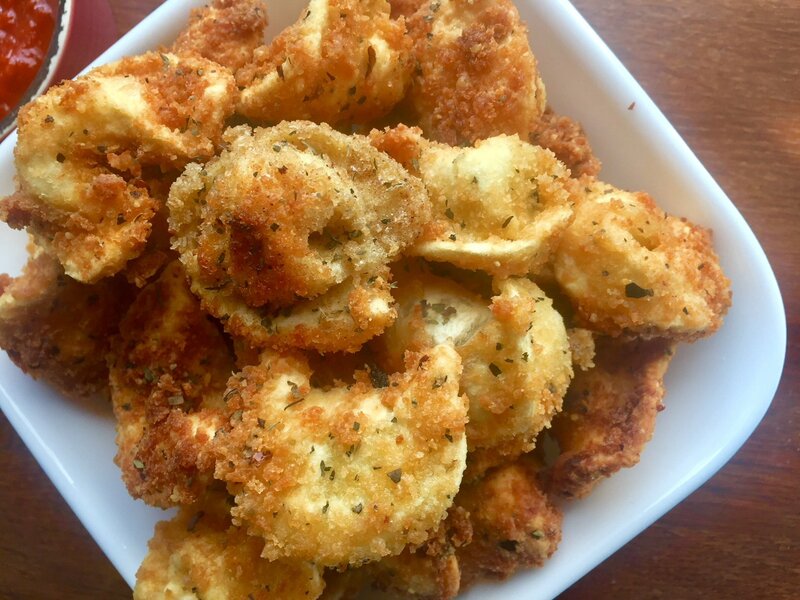 Well this is basically the same thing, but with tortellini. Why does ravioli get to have all the fun? 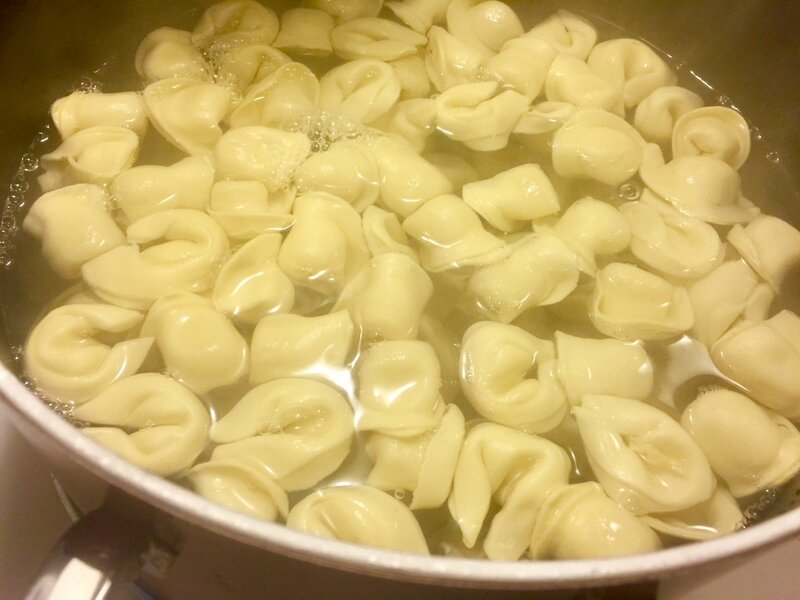 Tortellini is just as good, and you usually have an easier time of finding the fresh cheese-filled pasta in grocery stores rather than ravioli. 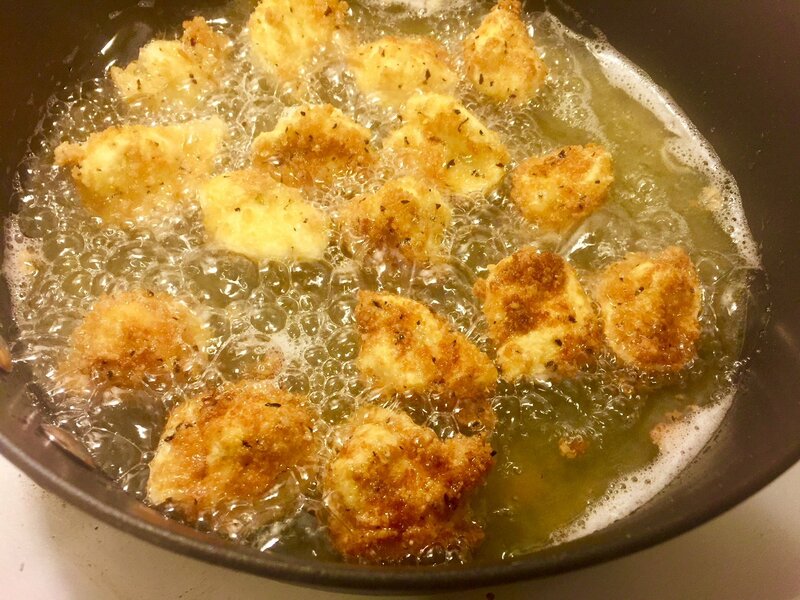 The dredging process is easy, just flour, eggs, then a Panko-Parmesan mixture. I tell you what, Panko is the best breadcrumb to use. It’s so much crunchier than regular breadcrumbs or Italian breadcrumbs. It’s even tastier, in my opinon. Use Panko everytime. Everytime. Use those old flavorless breadcrumbs that come in the tube for meatloaf or something. Make sure to have the marinara handy! 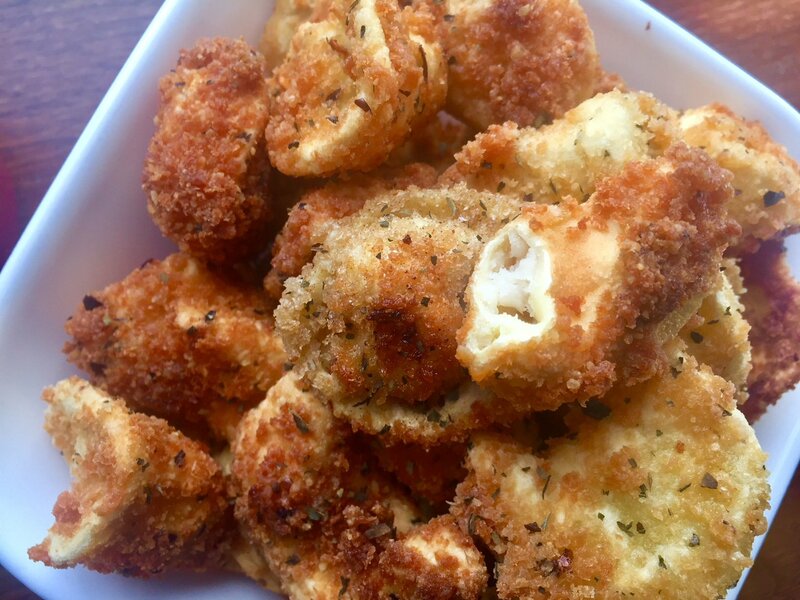 It’s the best to dip these little morsels in. If you’re a ranch fan, try that too. Everything is better with ranch. 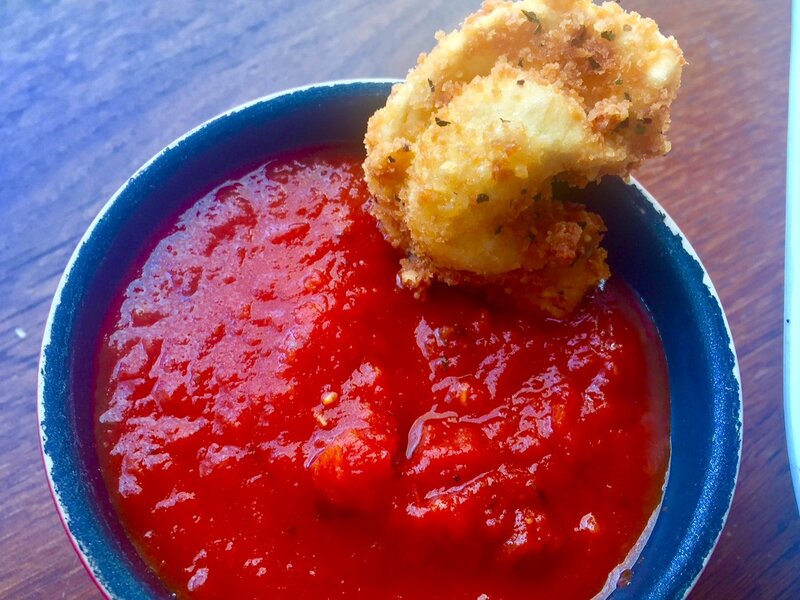 Panko and Parmesan crusted cheese-filled tortellini, fried to a golden brown and served with marinara. 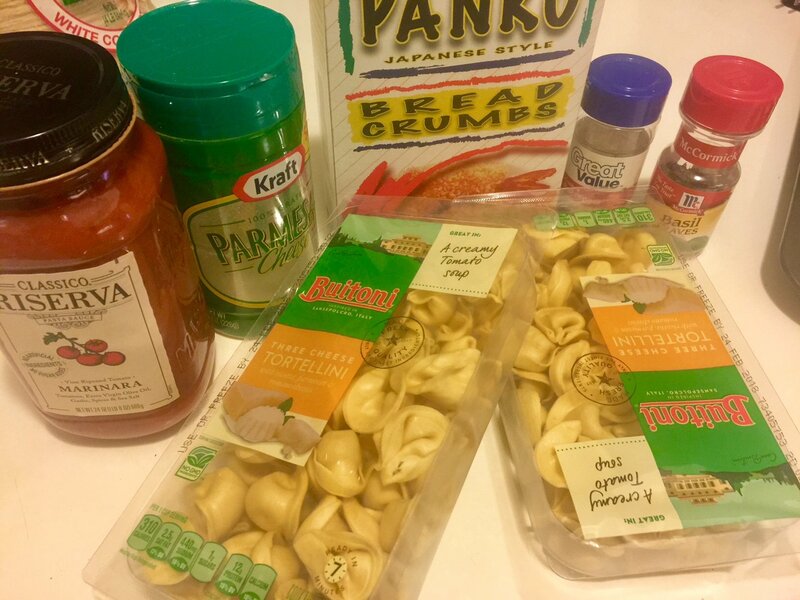 Cook tortellini according to package directions, until al dente. Do not overcook! Cooking process will finish when frying. Drain and let cool. Set up your dredging station. 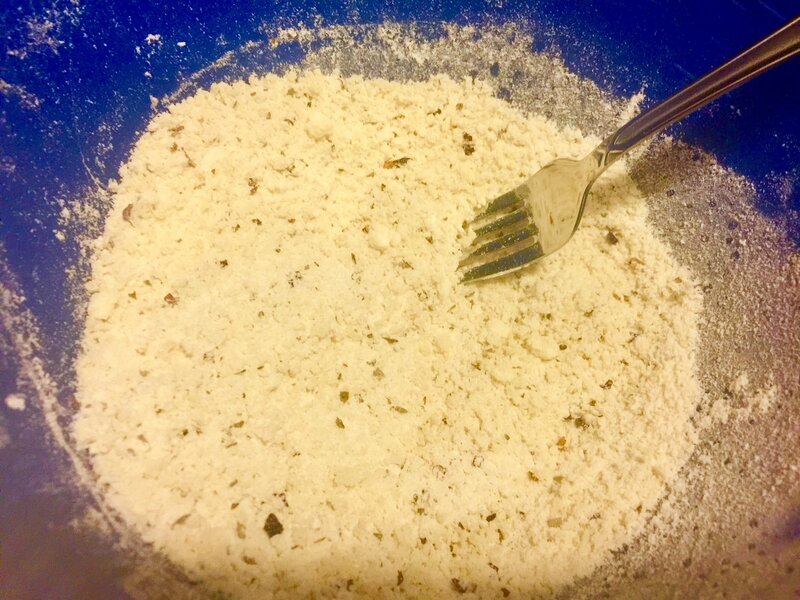 Pour flour in a small bowl. In another small bowl, beat eggs. In a large bowl, stir together Panko, Parmesan, parsley, basil, red pepper flakes, salt and pepper. In a large, deep skillet, heat oil over medium heat. Throw a breadcrumb in to see if the oil is ready. If it sizzles, you’re good. 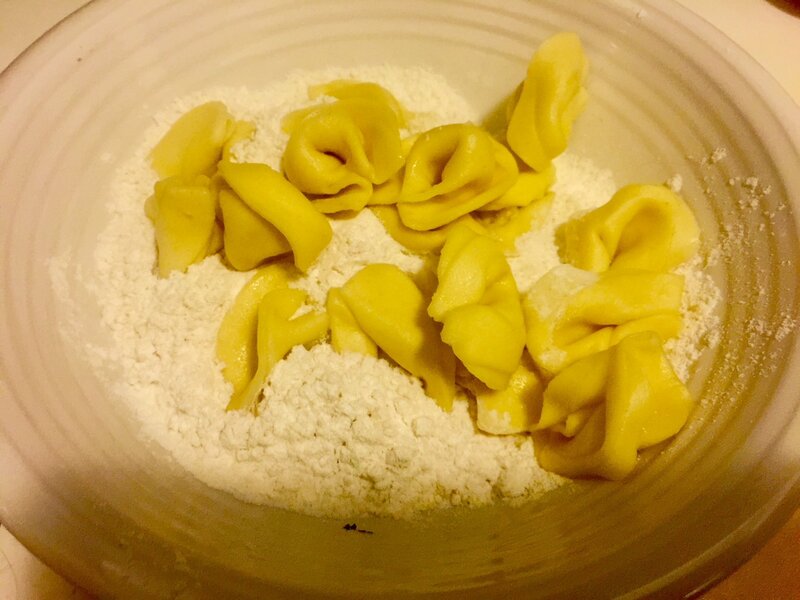 In batches, grab a handful of cooked, cooled tortellini and dredge in flour. Shake off excess and dip in egg, then roll in breadcrumb mixture. Fry tortellini in oil for about 2-3 minutes per side, until golden brown and crispy. Drain on a paper-towel lined plate. In a large deep skillet, heat oil over medium heat. In batches, grab a handful of cooked, cooled tortellini and dredge in flour. Shake off excess and dip in egg. Roll in breadcrumb mixture. Eat what you want in small quantities is what I say. These look yum! That’s also a problem of mine…large quantities! I should spend the next few weeks cutting down, though. If you are in the Clean-Your-Plate-Club like me, it really helps to portion up recipes. I am so surprised by the psychology of it. I’ll try that. I meal prep, but I don’t Portion it. Thanks! Too true! I just have to stick by the “moderation” part!